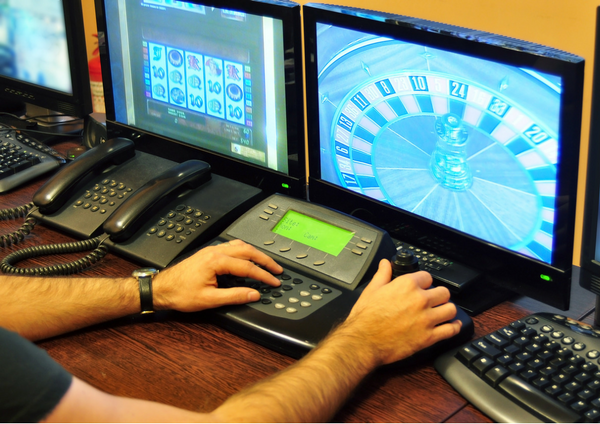 One of the key challenges in upgrading a casino video surveillance system is the need to maintain ongoing gaming operations in the casino during the upgrade. Regulations require functional video surveillance at all times. Any lapse of surveillance coverage must be scheduled and approved in advance by the relevant gaming authorities in order to avoid regulatory scrutiny, disruptive investigation, and potential fines. Put simply, if there are no eyes on the games, the games must stop. If the games stop, then the revenue stops. So the stakes are high! The upgrade of an existing surveillance system can involve the removal and replacement of all or some of the existing cameras, recorders, backup systems, control systems, cabling, along with a possible upgrade to property infrastructure such as power or HVAC. Implementing a change of this magnitude is complicated. You should only trust a specialized gaming integrator, a company that has an experienced and qualified team that will ensure your casino stays fully operational throughout the transition process. If the surveillance system goes down, then even a few hours of lost revenue will eclipse the perceived budget “savings” of selecting an inexperienced integrator. In over 20 years of performing these complex projects, we have never shut down gaming operations. How do we make it happen on time and on budget over and over again? The simple answer is this – we care deeply about what we do. There are no short cuts; we make a plan, we incorporate redundancy into the plan and then we do our absolute best to execute it flawlessly. Before we install the new system components, we test them in our lab, perform a dry run of the plan and prepare every facet of the system for a seamless transition. We do all this BEFORE we take the old system off line. This is the only way to guarantee that we will make the transition from the old system to the new without causing an interruption to casino operations. Every surveillance system upgrade is a unique proposition. It is critical to plan the entire deployment and transition carefully and to include every important detail. Special NAV assessment teams are experts in this process and can collect the on-site information needed to support the transition process. Among other things this can include retention requirements, the timeframe of the cutover, stability (or otherwise) of the old system and the infrastructure requirements of the new system. It is inevitable that at some point there will either be two complete surveillance systems (the old and the new) running at the same time, or portions of each. This requires meticulous logistical planning by the NAV project team, along with the customer leadership, facilities, IT, and surveillance teams. Casino business conditions and customer requirements always dictate our approach. The factors that can impact our approach include the timing of upcoming holidays, major entertainment events such as concerts or poker tournaments, the overall construction schedule or the failure of critical system components. Our team explores the options in partnership with casino leadership and then determines the best project approach. In some cases, there is a phased approach to certain high priority areas of the casino such as high limits or cash routes. Sometimes all cameras and field hardware are replaced first and the recorders and control system later; in other cases, the order is reversed. It’s a process that must be developed from scratch to fit the conditions and environment each time a new system is put into place. Once the overall approach is agreed upon, the final step-by-step planning is completed and reviewed with all stakeholders. Casino leadership, the surveillance team, IT professionals and security staff will all be affected by the project, and in some cases, third parties such as GC’s, consultants and owners’ construction representatives are involved. We always do our best to develop a plan that addresses the issues up front and creates the compromise that meets everyone’s requirements. It is very important for the full team to be in step with the entire plan and ready to support it appropriately. During implementation, the NAV team closely monitors every step of the progress. In such a complex operation, and without the luxury of perfect information in advance, there can be unexpected situations that arise and require quick remediation. With close cooperation, the team can resolve any issues that arise or adjust the plan as needed to make sure the installation is smoothly completed with no disruption in system performance and no need to suspend casino operations at any time. Every installation is unique. Our many years of casino experience give us the ability to choose the best approach and make the right decisions, both in advance and on the fly when necessary. 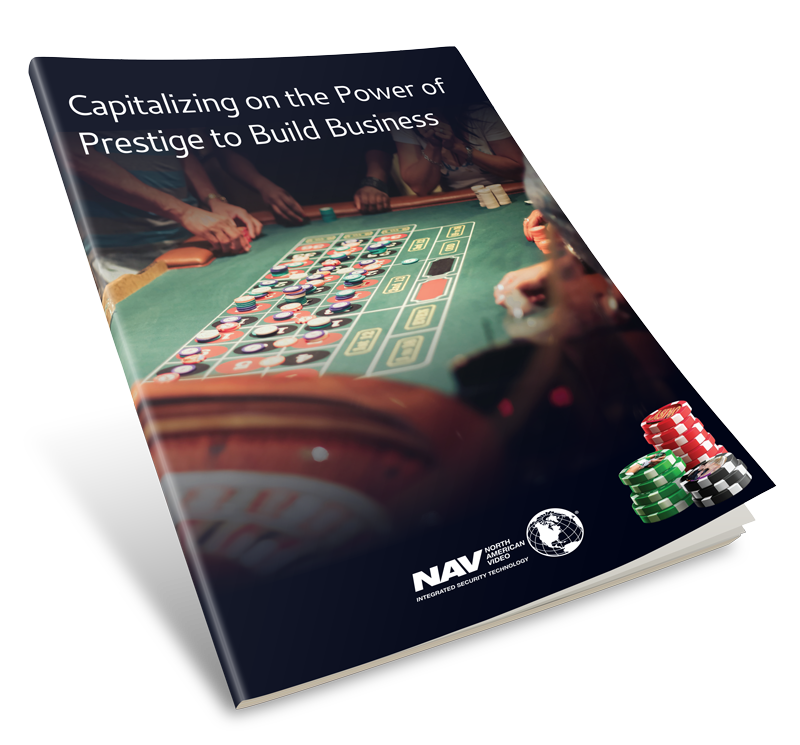 By planning carefully and working closely with casino staff, NAV teams have successfully implemented video surveillance upgrades in dozens of casinos, all without interrupting the gaming operations – or the revenue streams.